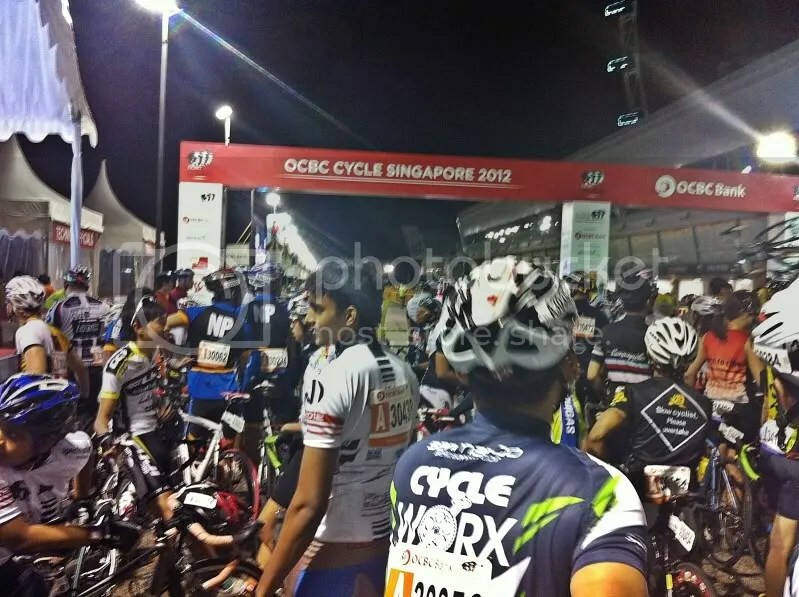 Ocbc Cycle Singapore first started out in 2009 as a mass cycling event that everybody can participate and join in the fun. 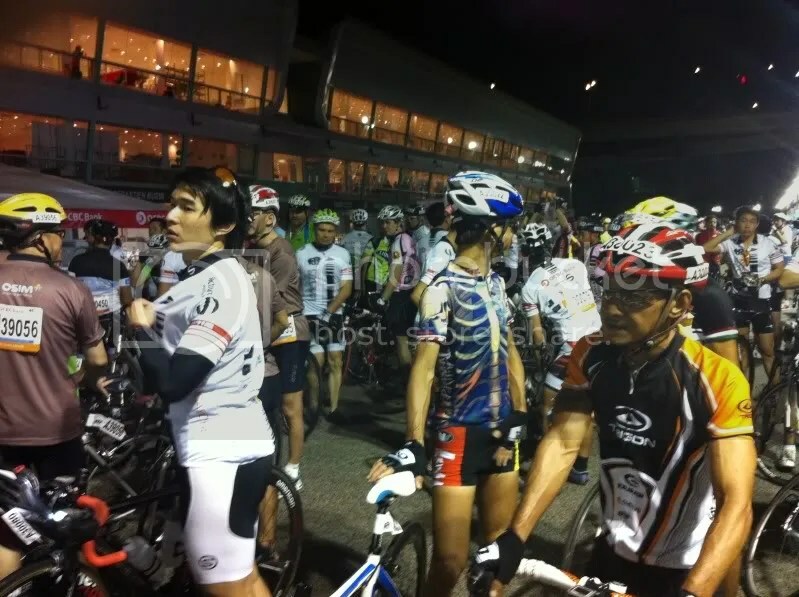 It caters to cyclists of all levels in Singapore going from the Pro-amateur Criterium Events,Medium Distance event (59km) Super Challenge and the Short Distance event (39km) The challenge. For those who wants to take part just for fun, there is an even shorter event (24km) the Community Ride, and events for the younger ones such as the Junior Challenge(30 minutes on the Criterium loop I believe) and the Mighty savers ride(5km) and the tricycle ride (100m).Given the huge amount of events and races happening, it is typically split into a 3 days event with a carnival-like atmosphere. Since I’m not good enough to do the Criterium Events, and could not justify the cost of paying for the super challenge, I signed myself up for the challenge instead as I have a discount. As the organizers have emphasized its not a race, I knew it would be a slightly less intensity than a race yet more challenging than just a normal leisure training ride.Given the typical Singaporean attitude that over-reacts to situation and the nervousness,I knew it would be a fast and pretty hard ride. Woke up at 430am to go down early to get a nice spot to relax and sleep on. Could not sleep well the whole night due to phone vibrating and the fact that I slept late.To my dismay, it was drizzling slightly when I woke up,thought I will give it a miss if it started to rain heavily but thankfully it stopped after awhile.Pinned my number Going there was a slow relaxing warm up ride. Met a taxi driver and talk about the event in general. Met a road cyclist who was going to the event but meeting some friends at another location. Hi Steven from SMU,if you are reading this.Did a slow leisurely speed of 33-ish kph to avoid sweating and just warming up there. Traffic was good due to morning. Back view mine group look at everybody menacing look! Flag off! And everybody from the first pack suddenly accelerates off. First crash at the first turn, a bunch of 4 bikes collided at the barricade. The first peleton was quickly formed and I was stuck. Went to quickly form a chase pack to chase down the peleton. Was doing >40 kph consistently till the first climb up Benjamin Sheares Bridge. Boy it was steep having trouble maintaining 32kph up the bridge. Luckily the peleton also slowed down as well, but still was quite a distance from them. Chase pack had about 10 people but only 4-5 person was doing the actual work, the rest was just drafting,how selfish. Managed to catch up with the peleton at around the 15km mark and followed their pace all the way. Peleton was quite careful and fun. Most of the riders was treating it like a fast training ride. They were pretty mean to newbies(those that cycle on the right hand cycle of the road) by screaming “Bike Right” and suddenly the whole peleton passes by. Humps and danger zones were also properly signaled and shouted to let rear riders know what is going on. Breakaways were attempted sometimes on flats. But the peleton quickly chased up and caught the breaks.The peleton had to slow down on occasions due to the bad road conditions as well as to pass people safely. The breakaway happen when there was approximately 2.5km left on the route back up the Benjamin Sheares bridge again. I had anticipated the breakaway but could not do anything to catch up as I was too far back to catch with the break. Slowly overtook riders up the bridge. Went down at the ramp-off off the expressway reaching a top speed of 66kph! Managed to ride solo all the way till the finishing point where I could not do a sprint finish due to guys blocking at the front. Finished in in approximately 57minutes (as stated on my Garmin). As of now, I’m still waiting for the official results from the timekeeper. Edit: Its official I got 5th for my category and 18th overall. Total time taken 56:27 minutes. The ride was way better than I expected with no bottlenecks and the climb to separate the men from the boys. The huge amount of road available also ensured that everybody is able to overtake smoothly and without any dangerous actions, though it is narrow in some roads such as East Coast Service Road. Though the ride at 37.3km long was a little over 1km less than advertised. I enjoyed myself thoroughly as it is not everyday that everybody gets a ride together and ride in unison and in cohesion to the finish point.That is what cycling is all about. Drafting each other and working as a cohesive team to help one another to the finish line. It is never about yourself unless its an Individual Time Trial. This entry was posted in Race/Ride Report and tagged leisure training, Ocbc cycle 2012, Race, specturm worldwide, travel, typical singaporean. Bookmark the permalink. Im now alternating between 2 OGK helmet (red and white/green) See you on the roads!